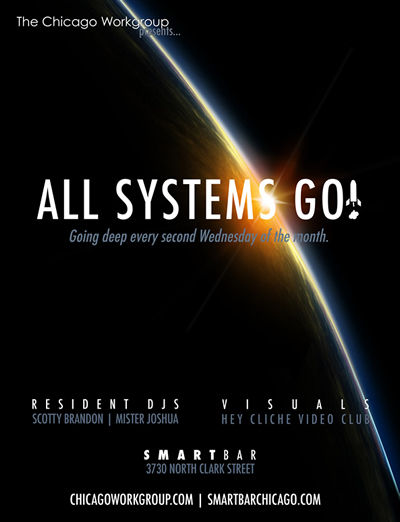 Part of SmartBar's "Home Schooled" Wednesday Night House Music series, All Systems Go! pushes the boundaries of House Music in addition to showcasing the classic form that Chicago put on the map. With a complete sensory experience combining custom visuals mixed live by Hey Cliche and the bumpin', deep underground house and techno sounds laid down by residents Scotty Brandon, Mister Joshua and guests, All Systems Go! is a monthly party not to be missed! Chicago's own Yazi The DJ will be joining us this month bringing with her an exquisite taste in House Music bred by this city itself. Her love for the scene has led to amazing sets and local events like Respect The DJ (RTDJ) and more. Having played alongside premier DJs all over the city and beyond, her sets are full of artistic expression and a passion for music only a select few DJs can match. "As scientific and as delicate as the marriage of Chicago house and hip-hop, Yazi The DJ is a fierce musical personality with a sincere sense of elegance and integrity. A female DJ navigating through a male dominated maze. She has overcome circumstance by melting the aggressive stance of her peers with her intensity and determination. Her gift as a dancer of structured classical expression is evident as she reveals inner expressions through her art that erupts across the dance forums throughout Chicago. 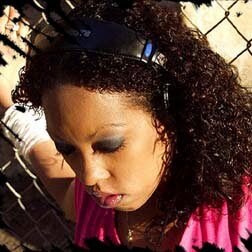 She has graced the turntables alongside premier DJ's at some of Chicago's nightlife pulse points. Her goal: to take her audience to new musical plateaus. Standing as a vibrant figure representing people of color and global landscape." All Systems Go! at the Smartbar from Hey! Cliché!!! video club on Vimeo.